The CO2 Riojuvenation System from Rioblush originally hails from Brazil. It is used for the treatment of Carboxytherapy to target stretchmarks, fine lines and wrinkles, dark under eye circles, cellulite and localised fat deposits as well as minor skin tightening of the neck and decollete regions. 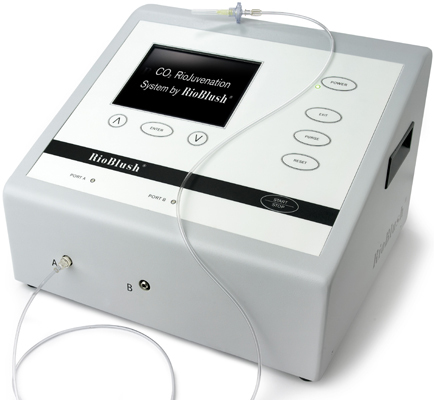 Click for ALL Rioblush CO2 Riojuvenation System clinics in the UK & Ireland registered and verified by Consulting Room.